What do you need to know about cheap MLM leads? If you look around the Internet, you will literally find tens of thousands of distributors looking for cheap MLM leads. It’s true: leads are the lifeblood of any business. Without a constant flow of leads in your network marketing business, you are doomed for failure. So if you need leads, and you can’t afford expensive leads, this article is for you. I’m going to share with you the ins and outs of cheap MLM leads. I will share my thoughts about buying leads, tell you where to buy them, and then show you how to generate your own leads. What are Cheap MLM Leads? What is a cheap MLM lead? I define it as a low cost lead that cost less than $3 each to purchase. They can be leads you buy from a lead company or leads you generate yourself. $3 or less per lead is very cheap in my opinion. When I am generating my own leads online, I normally pay $3 to $5 per lead, depending upon what type of advertising I am using. Please keep in mind you can buy leads from lead companies for as little as ten cents each and up to $20 each. There is a huge price difference between different types of leads and different lead companies. If you’re set on buying leads to cold call, I would highly suggest you buy the cheapest leads you can (even though I am against buying leads and cold calling). When I bought leads in the past, my results with cheap leads and expensive leads were about the same. There are literally hundreds of different lead companies online that sell network marketing leads. You can do a quick Internet search and you will find lots of companies to choose from. I suggest you call these companies before you make a purchase. You want to do two things. First of all, find out everything you can about how the leads were collected, when they were collected, and how many times they have been sold to other distributors. In addition, I suggest you try to haggle with the salesperson and get an extra discount on the leads. Most companies will give you an additional discount on the listed price if you ask them to. You should find many companies to choose from. Also, make sure you call at least three different companies before you make a purchase. This will give you a good perspective on rates, quality, and customer service. You might even want to research each company for reviews online and see how long the company has been around. Here’s some things you should know if you buy leads. First of all, cheaper isn’t always better. It’s true: you get what you pay for. In addition, more expensive leads aren’t always better either. You might need to try out a few different lead companies to see what type of results you can get with their leads. I’d also like to chime in and tell you that you should NEVER buy leads from a lead company (my opinion). It’s much wiser to generate your own leads instead. But if you’re set on “buying cheap MLM leads” follow my advice and try out a few different lead companies before you settle on one for good. If you want to learn other ways to get leads, check out my post 34 Ways to Get More MLM Leads. That should help you out a lot. The best place to get your own cheap MLM leads is to advertise. In the paragraphs below, I will give you some specific steps on how to generate your own cheap MLM leads. 1) Set up a capture page and auto-responder: You need your own one page website (capture page) where you can get people to give you their name and email. You also need an auto-responder that can manage your lead’s list and follow up with your leads automatically. 2) Create a free giveaway: Don’t make the mistake of trying to promote your business opportunity on your capture page. Instead, you want to give away a free report, boot camp, video training series, or something else that your “ideal prospect” would be interested in. This is called a two-step selling process and it works great. Ideally, you want to giveaway something with a high perceived value by your prospect. 3) Send paid traffic and free traffic to your capture page: Your primary goal is to get as many high quality visitors to your capture page as you can. Try to get at least 500 to 1000 people per day to visit your capture page. A small percentage of these folks will give you their name and email and become a lead (probably 10-30%). 4) Once people opt-in redirect them to your one time offer: As soon as people opt-in to your list, you will redirect them to your product offer. This is known as a one time offer. This is where you will offer a $10 to $30 product or service that gives you instant commissions. Some of the people will purchase your one time offer right there on the spot (a very small percentage of people). This will put immediate profits in your business today, while you build your lead list. 5) Program emails in your auto-responders to promote several different affiliate products: You want a few messages in your auto-responders promoting different affiliate products. Sales from these products will also help offset your advertising expenses. 6) Let your affiliate sales pay for your advertising costs so you can keep building your list: Once again, the purpose of your one time offer and affiliate products is to offset your advertising costs so you can stay in the game and keep advertising and keep building your list, while you build your primary MLM company. 7) Promote your business opportunity to everyone on your list: Your last step is to promote your primary MLM business to everyone on your email list. You will do this AFTER you’ve sent them 10-15 emails promoting different affiliate products. Some people on your list will join your team as a distributor. And you make money whether they join your team or not. Once again, this is my step-by-step process for getting cheap MLM leads. 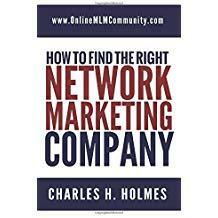 Study anyone who has built their MLM business online and you will see that they followed a similar process. Whatever you do, NEVER lead with your primary MLM Company first. You will go broke that way. Ultimately, you have a choice to buy leads or to generate your own leads. If you want cheap MLM leads, you need to learn how to generate your own leads online. The best way to do that is to use a two-step selling process where you give away something for free and also have a one time offer. Sales from your one time offer will help offset your advertising costs while you build your list. This lets you advertise for free (or almost free) while you build a list of prospects to share your business opportunity with. In my opinion, this is the only way to build your MLM business online and to get cheap leads. Leave a comment below to let me know what you think. Great tips and I love the auto-email tip. I am going to really apply this because it is all easy work that doesn’t take that long to get going. I don’t want to waste time here! Thanks for this. I will bookmark this page and come back. I enjoyed this article because I am a type A personality! I want to be in control – control of generating my own leads, handling things on my own, etc. With a capture page, auto responder, and a lot of hard work (training and motivation), I think it is possible to cut down on your lead cost. For anyone who wants to be in charge of gathering their own leads, this was a great post. Thanks for sharing! I’m glad I could help you. I can relate to you. I too am someone who like to control or at least have a say in all aspects of my business. So when it comes to generating leads, having the power to do that myself is quite appealing to me. And the fact that I don’t have to go broke in order to do so is even more attractive as somewhat of a newbie in the MLM world. It is great that there are tools out there for people like us that allow us to oversee what is happening but without doing exorbitant amounts of work. My experience with buying leads is that, even when the claim is they are qualified to be seeking your product or service, they weren’t, or the lead was really, really old. It seems to me that by generating them yourself through an autoresponder, you have already completed a pre-qualifying activity that makes the information already more valuable to you. I always tell people don’t waste money on leads. Learn how to generate your own leads instead. You will be much better off. I appreciate this step by step guide to purchasing and using MLM leads. I don’t think that I had a very strong understanding of the matter and thus I was not really looking into it. It is good that you have advised people that the cheapest isn’t generally worth the investment because it is lacking in quality. Yet also the idea that the most expensive is the best is also a good point to get across. Many people get fooled into paying more because they are under the perception that more money equates to the best. Thanks Charles. I am most happy you excluded buying genealogy lists from your ways to get good, cheap MLM leads. Like you said, you get no guarantees when buying leads and so generating your own is a much cheaper and safer way to do things. With that in mind, why people still bother to buy those lists at all is beyond me. People buy genealogy leads because they don’t know any better. In most cases, their sponsor or upline recommended it. I’v even bought some myself in the past, but never had much luck with them.